Opinion Forum » Professor Gates Should Thank the Cambridge P.D. 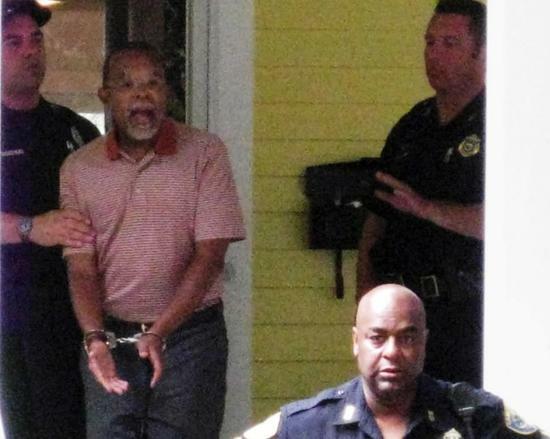 Harvard professor Henry Louis Gates Jr. returned to his home in a taxi last Thursday. He had been in China filming a documentary for PBS. When he arrived at his front door he found it to be stuck closed so he asked the taxi driver to help, and according to news reports the two of them finally pried the door open. It still isn’t entirely clear what transpired last Thursday when Henry Louis Gates Jr. was arrested outside his Cambridge home. A police report indicates Gates was screaming at the officer, called him a racist and ignored warnings to calm down. Gates, however, denies he acted inappropriately and said the officer didn’t respond to his requests for identification. So who is the arresting officer? He is Sergeant James Crowley who is, according to the Cambridge Police Superior Officers Association, a highly respected veteran supervisor with a distinguished record in the Cambridge Police Department. This police association also reviewed the arrest reports, and they have concluded that “his (Crowley’s) actions at the scene of this matter were consistent with his training, with the informed policies and practices of the Department, and with applicable legal standards.” Just a guy with a hard job to do. As a result of the situation, Professor Gates wants an apology from Sgt. Crowley, and Sgt. Crowley says he absolutely won’t apologize because he feels he has nothing to apologize for. Professor Gates is threatening a lawsuit. President Obama took a few moments out from his destruction of the economy to, in effect, call the arresting officer “stupid.” And the one photograph of the arrest (above), taken by a neighbor who saw a man he didn’t know being arrested, has made the rounds of the morning TV shows and newspapers. The few facts presented in this post certainly represent insufficient reason to accuse anyone of anything, but just from the information in the Metro International News quote above, the other facts about Professor Gates, and what we know of Sergeant Crowley, one can start to get a picture of what might have transpired in the Gates house last Thursday. I certainly have a scenario in mind, but it would be inappropriate to share it based on what we know. I will say this, however — and I’ve already said it in the title of this post — Professor Gates should thank the Cambridge P.D. for doing their job, trying to protect the professor’s house. He should also track down the neighbor who witnessed his breaking and entering and thank him or her for being a good neighbor. Neither will happen, of course. The professor (as well as the president) is convinced that he was a victim of racial stereotyping and he will, no doubt, carry that belief to the Supreme Court if necessary. If the police made the assumption that Professor Gates was a burglar rather than who he said he was because of race, that would be unacceptable. But that just doesn’t seem to be the case here. From everything I’ve read, the police arrived, he showed his ID, and it would have ended there if he hadn’t yelled at and abused the police. When you do that, in any jurisdiction, you have expect to be arrested. Police officers shouldn’t have to, and by law don’t have to, tolerate verbal abuse, certainly beyond a certain point. It’s a bit irritating to know that if I had done the same thing, I doubt the charges would have been quickly dropped, as they were in Gates’ case. I probably would have ended up with a citation for disorderly conduct and paid a fine, at the minimum. Seems some people are more equal than others, regardless of what they may think. But I wouldn’t worry about a Supreme Court case. I doubt that this silliness would survive more than a few minutes in a federal district court. You can read the complete police report here. There doesn’t seem to be much doubt about what happened. raceism, let me tell you the more we talk about it the more it will come up.i have seen white men between 18 and up,beat up, profiled falsely arrested and jailed! we have come a long way with some profiling but i was schooled in a j.h. were i was the minorty. want to give me a forum?we all just need to live together in respect and peace. we need to train our public servents to be the examble! starting from the top down!there is always two sides to every story and some were in the middle is the truth!not the loudest voice! all youg men are told by their parent(s)be respectfull to the police, judges & others.respect gets respect most of the time. i know not always,but always try. dont spread the hate. we need to work together to get along.a house devided falls.thats why we are the united states. get it united!thank you. Dr Gates should be thankful that the police there are as responsive as they are, and that his neighbors are as vigilant as they are. I wonder what Gates would have said if there had really been a burglar trying to break in and the sergeant had just walked away the way Gates suggests he should have. What you say about the need to live together with respect is very true but, having been raised in the environment you were raised in, you would probably be the first to understand that there are some individuals who do not want peace. They thrive on confrontation. If only we could live in peace! “if I had done the same thing, I doubt the charges would have been quickly dropped, as they were in Gates’ case. I probably would have ended up with a citation for disorderly conduct and paid a fine, at the minimum.” Sad but so true. P.S. I was happily surprised that I received 35 comments on my blog on this post. I had never received more than a half-dozen on any article before. Harvey, I read your comments. There certainly is a lot of interest in this controversy. While the number of comments here is not as great, the number of hits on this article is fairly high. I think people are tired of all the special-case pleading that goes on in our society these days, and in particular crying racism every time something happens that you don’t like has gotten very, very old. All I want to know is why would a neighbor think burglars would arrive in a taxi? LOL! great question! Wish I would have thought of that!